Frankfort, KY (January 31, 2012) – Today, Governor Steve Beshear, Country Music Highway committee members, TourSEKY members and Country Music Hall of Fame Member Tom T. Hall announced the launch of two new initiatives surrounding the legendary highway (U.S. Route 23), now referred to as the "Country Music Highway." This stretch of road, which winds along the Eastern corridor of Kentucky, has given rise to a remarkable number of country artists including Wynonna and Naomi Judd, Billy Ray Cyrus, Ricky Skaggs, Keith Whitley, Dwight Yoakam, Gary Stewart, Patty Loveless, Billy Ray Cyrus, Crystal Gayle, Loretta Lynn, Rebecca Lynn Howard and many more. The announcement made at the State Capital introduced the "Country Music Highway Road to Fame" talent competition which will allow the discovery of the next generation of talented artists from the area, as well as the development of a charitable organization, the "Country Music Highway Arts Education Fund" which will support music programs in Kentucky schools and aid children in discovering a passion for music without utilizing state education funds. "I am certain that Governor Beshear will agree with me when I say how proud we are to honor the rich musical heritage springing from the State of Kentucky," said Jeff Crowe, President and CEO of Tour SEKY. "Our youth is teeming with musical talent and I am excited to see the impact the program will have upon them." The "Country Music Highway Road to Fame" competition, set to begin in mid-March, will tap Eastern Kentucky's musical roots to find the next generation of talent. 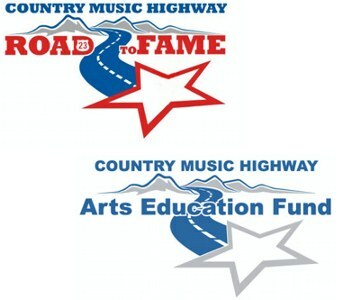 The winner of the 2012 "Road to Fame" competition will receive a scholarship to participate in career development and coaching under the direction of PCG Nashville valued at $25,000, an acoustic guitar and a plaque recognizing their achievement. The contest will be open to aspiring artists 13-35 years of age from the 15 counties that border the Country Music Highway (US Route 23). Details of the contest will be released on the "Country Music Highway Road to Fame" website. Potential contestants and interested parties should visit www.cmhroadtofame.com and register to receive announcements as they are made. "I'm really excited about the competition because it will show that some of the best talent can be found in the hills of Eastern Kentucky," said Country Music Hall of Fame Member Tom T. Hall about the talent residing in his home area of Kentucky. "The Country Music Highway means so much to me. I grew up in that special part of Kentucky, as did so many of my friends who have also been fortunate enough to find careers in country music. And now the Country Music Highway folks have launched a great project they're calling "The Road to Fame," said Naomi Judd in an earlier statement. "Keeping music alive on stage and in schools is close to my heart. I encourage everyone to get behind this project. Please join me in supporting the "Road to Fame" and the difference it will make in the lives of our friends and neighbors." These initiatives announced today are already receiving support from corporate sponsors. The first to come on board are the Gibson Foundation, Crawdad's Classics Gourmet Flavorings, PCG Nashville, Vietti Chili, Fairway Outdoor Advertising, TourSEKY, and Ray, Foley and Hensley Accounting. For more information, contact: www.cmhroadtofame.com. About the Country Music Highway: On March 1, 1994, a bill sponsored by State Representative Hubert Collins was passed and US Route 23 in Eastern Kentucky became "The Country Music Highway" to recognize the famous Country music stars that came from the region. In 2002, the Country Music Highway was also recognized as a National Scenic Byway. The 144-mile stretch of highway runs north and south along the eastern part of the state through the lush hills and valleys of Appalachia. Click for more information: www.CountryMusicHighway.com. About the "Road to Fame" Competition: Auditions, qualifying rounds, semi-finals and the grand final will be held at venues along the Country Music Highway. To be eligible to enter, contestants must be between the ages of 13 and 35 and prove residency in the counties of Letcher, Pike, Floyd, Johnson, Lawrence, Boyd, Greenup, Harlan, Petty, Knott, Magoffin, Morgan, Elliott, Carter, and Lewis. Full contest rules, contest dates and venues will be announced, along with updates at www.CMHRoadToFame.com. About PCG Nashville: PCG Nashville is recognized as one of America's leading career development organizations, working with new and emerging artist, and customizing programs to accommodate an artist's creative and professional growth. Programs include: career guidance and mentoring, strategic planning, styling, branding and marketing, entertainment relations and ethics, media training, live performance coaching, vocal evaluation and training, instrument lessons, songwriting and creative direction, studio preparation and more. Click for more information: pcgnashville.com.